This was a great body scrub that also included a moisturizing oil. You can read my full review HERE. I received this in a Memebox and I didn't really enjoy it. I like my body washes to be very fragrant and this barely had a strawberry scent. Also, the bottle was very stiff and hard to squeeze so it was a bit of a pain to use. This is supposed to be a knockoff of Moroccanoil brand hair products. I will admit, it smells extremely similar to Moroccanoil (which in my opinion are the best smelling hair products on the market!). I do wish I wouldn't have purchased the "shine" version of this conditioner. I always need to buy "moisturizing" conditioners, otherwise I go through a ton because they just aren't moisturizing enough for my dry hair. 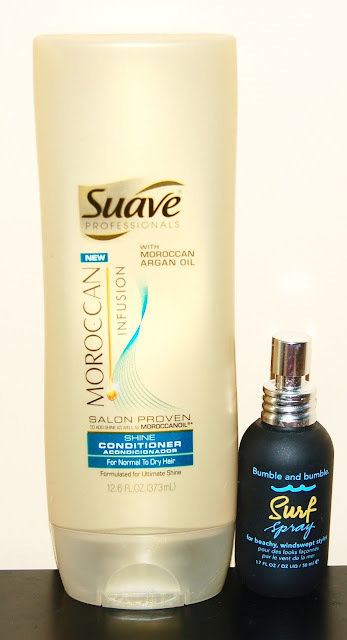 Either way, this was a decent conditioner and it's super affordable. I'd repurchase but I'd get the moisturizing version. This is hands down the best salt wavy spray I've used! It brought out my waves and didn't make my hair feel dirty like most other salt sprays do. Though I have yet to find a salt spray that brings out the waves in my hair AND doesn't make my hair looks super frizzy. Does such a product exist?? This was a nice light cleanser that rinsed clean and did a decent job at removing my makeup. I love this toner! 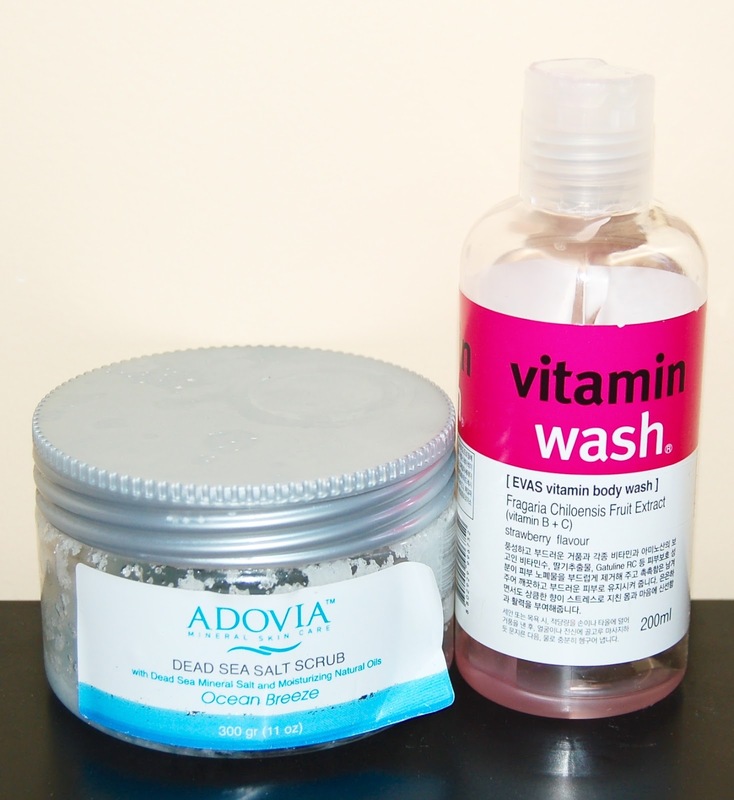 It does a great job at removing the last bits of my makeup without drying my skin in the process. 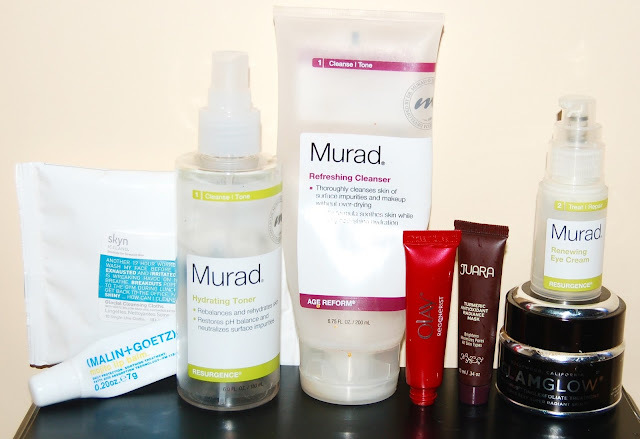 Wow, I finished quite a few Murad products in August! This is a great moisturizing eye cream. While I didn't notice any anti-aging effects, I loved using this for hydrating my under eyes and it's great to use right before concealer. These are great makeup removing cloths. They didn't remove waterproof eye makeup but they did a great job removing everything else. I used this to remove makeup and then followed up with a regular face cleanser and toner. This was a good moisturizing lip balm. I slathered this all over my lips at night and woke up to my lips feeling comfortable and hydrated. I just received this in my August Ipsy Bag. While I did look a bit brighter after using this face mask, it was really hard to rinse off. It left a slippery residue and it took forever for me to rinse it off with just water. I ended up having to wet a face towel to get it all off which is a little high maintenance in my opinion. I'll be passing this on to someone who doesn't mind the removal process. If you're a regular reader of The Beauty Isle, then you know that GlamGlow are my favorite face masks. This mask makes my skin bright and feel super clean. You can read my thoughts on everything GlamGlow right HERE. This was a decent eye cream but I didn't notice anything special about it in terms of hydrating or anti-aging benefits. Both of these foundations were nice. They had good coverage and lasted a good amount of time on my skin. That said, I keep comparing all new high end foundations to my beloved Double Wear. Neither of these foundations make me look as flawless as Double Wear and I wouldn't purchase full sizes of them when I could spend around the same amount of money and purchase what already works best for me. Does everyone else take forever to get through eye primers?? This was a good eye primer, it did a good job at making my eye shadows stay put and not crease. I have about a million other eye primers to get through so I won't be purchasing this one anytime soon. This actually isn't finished, I'm just getting rid of it because it does absolutely nothing for me. 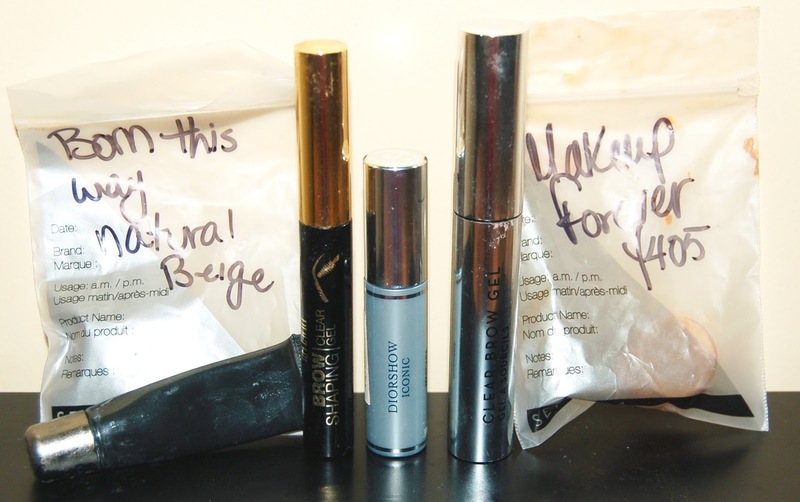 You can read my post comparing this brow gel with the Anastasia one (next) HERE. This is a great brow gel! You can read my full review in the link above. It's the only brow gel I've found that keeps my brows looking tame throughout the day. Sadly, I think I received this mascara sample when it was already very dried out. Or at least I hope that this mascara isn't naturally this dry. I do prefer dry mascaras but this was so dry that it was barely noticeable when I applied anything less than 3 coats to my lashes. 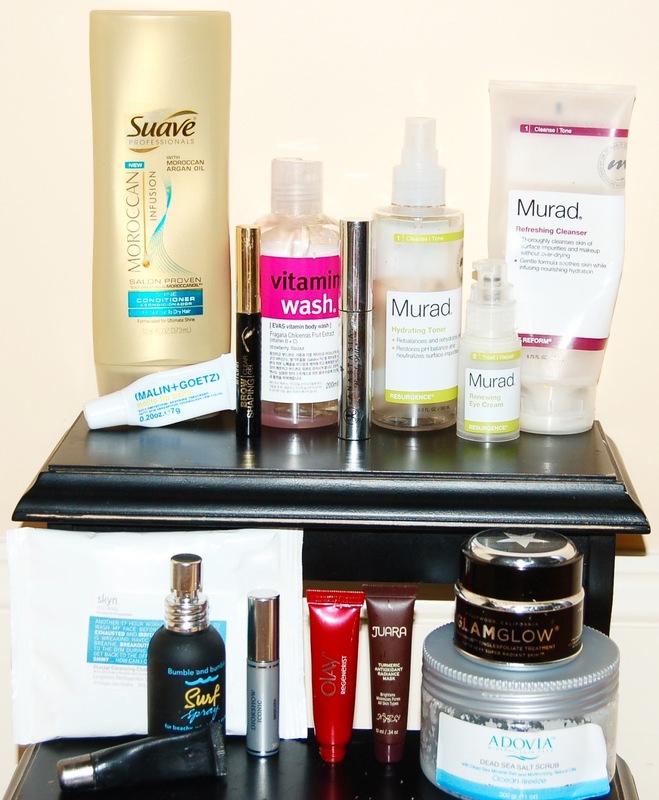 This month will be the second anniversary of The Beauty Isle! How is that even possible?? Of course stay tuned for a big giveaway coming up in a few weeks! I can't believe that summer is pretty much over. I truly can't! I'm not one of the "I can't wait for fall!" type people. All fall means to me is that "winter is coming". Yuck!